How Did I Get an Engagement Ring in a Fortune Cookie -- Is it Time to Give Up the Secret After 24 Years of Silence? It's hard to be original with marriage proposals these days. As the screenwriters say, everything's been done! I popped the question, but it wouldn't have been possible if she hadn't sent the first message. When you look close enough, you can see themes that shine through to be the rule rather than the exception. The commonalities aren't trivial either. They show that love is a combination of selflessness, hard work, conscientiousness, consideration, thoughtfulness and appreciation. Everyone Got Engaged During The Holidays Except You. Now What? Your cousin. Your college roommate. Your best friend. Between Thanksgiving and New Year's, someone you know is bound to get engaged. 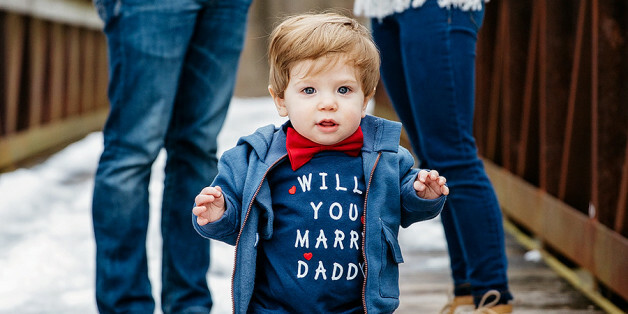 This is one of the most popular times to pop the question; and it's no wonder really, since everyone feels a little mushier around the holidays. In mid-November, my boyfriend and I began planning our wedding, even though we weren't engaged! We're living in TN, but are originally from PA, so we decided to have our wedding in our home state. I ask my wife to marry me everyday. Or sometimes I thank her for marrying me. Every single day, I make sure that my wife knows that I love being married to her. It has been almost ten years since our first date, we've been married for over six years and I plan to let her know every day for the rest of my life that I want her to be my wife. Neither of us were thrilled about paying another year of separate rent (D.C. can be expensive), plus, why wait? We knew we wanted to get married anyway and we had already gone through premarital counseling. So just like that we picked a day in the next three or four months that we could fit into our work schedule and got planning. A few years ago, when Diana Rissetto went with her friend to the supposed wedding-band-mecca, New York's Tiffany's and Co., to help him pick out perfect engagement rings, the woman at the counter could just not comprehend that they were looking for two men's engagement rings. No N.Y.C. Tiffany's clerk would make that mistake today. To celebrate all of the newbie brides and grooms ready to take the plunge, we've rounded up some tips to help couples spread the news of their engagement and learn to love this exciting new chapter of their life! I have been with my romantic comrade, Alex, for 4 ½ years. I would say around two years ago we both inwardly realized and outwardly vocalized that we were each other's "last stop" on the dating train. When it comes to photos of couples in love, these "smile and kiss" shots make up the bulk of standard snapshots of their lives. But let's slow time down for a moment. And smell the roses. It appears more and more women are putting in their two cents, both literally and figuratively when picking out the engagement ring. Rockwell once gave us an idealized America, but he went on to provide illustrations of the difficult aspects of our nation, as well: racial conflict, civil rights, violence, poverty. Rockwell's America was complex and rich in its diversity. Kim Davis' America is an illusion.